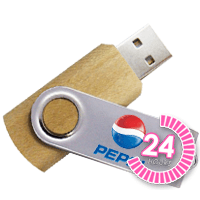 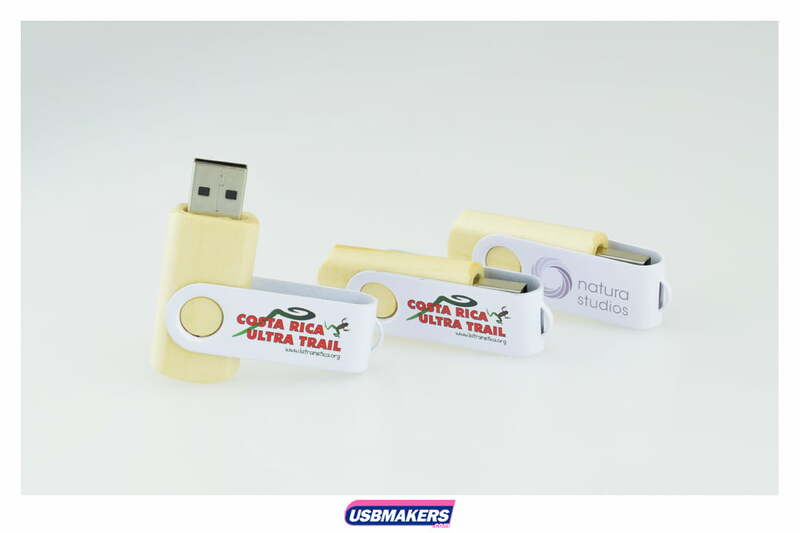 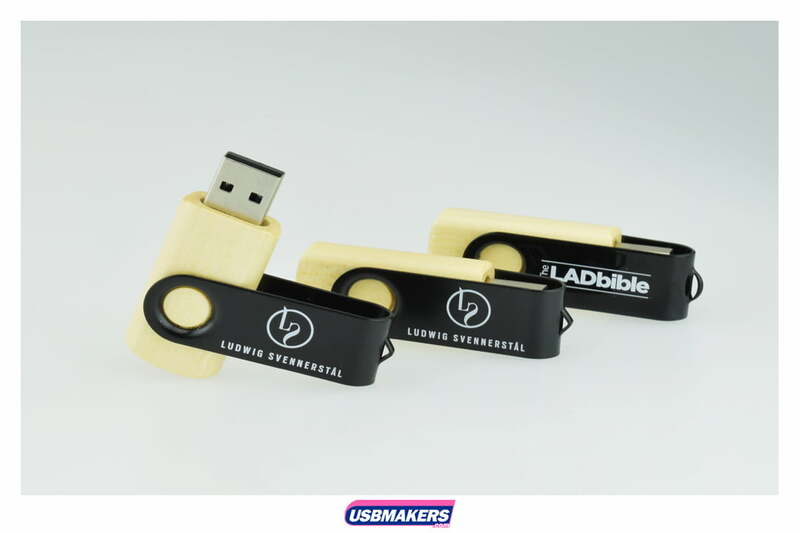 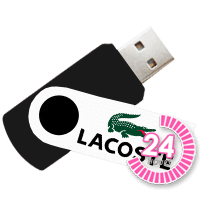 Now you can personalise your branded USB even further with our Eco Twister Duo, with the option of having a range of different coloured clips, you can choose the colour which best compliments your companies logo. 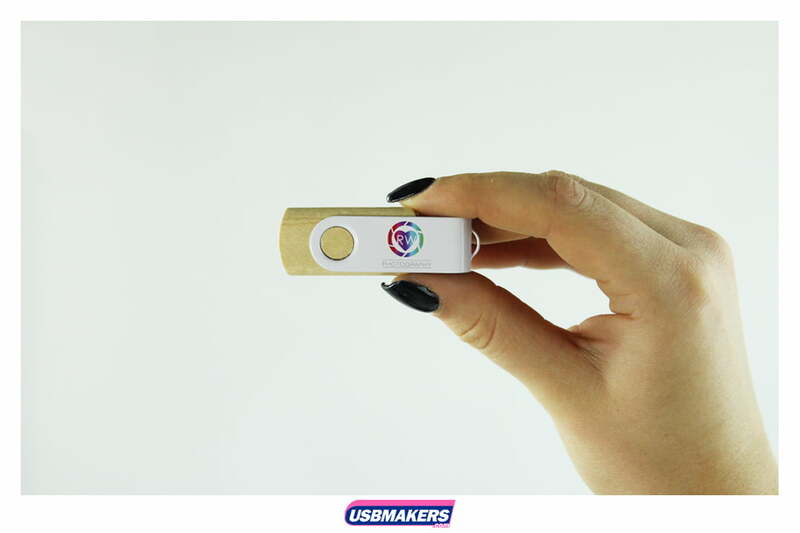 The Eco Twister Duo is also available to be Pantone colour matched to an exact specification, which means it can match your brand logo completely. 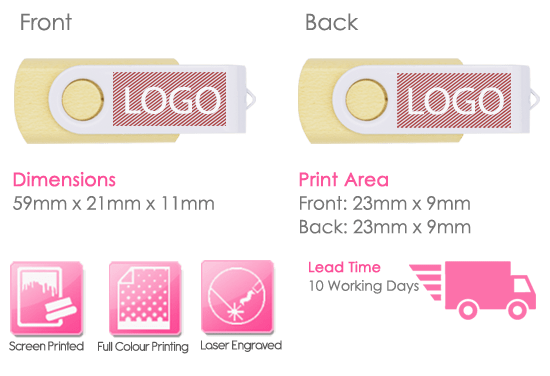 It is available to have a 1-4 spot colour printed logo onto one or both sides of the clip as well as the option for engraving. 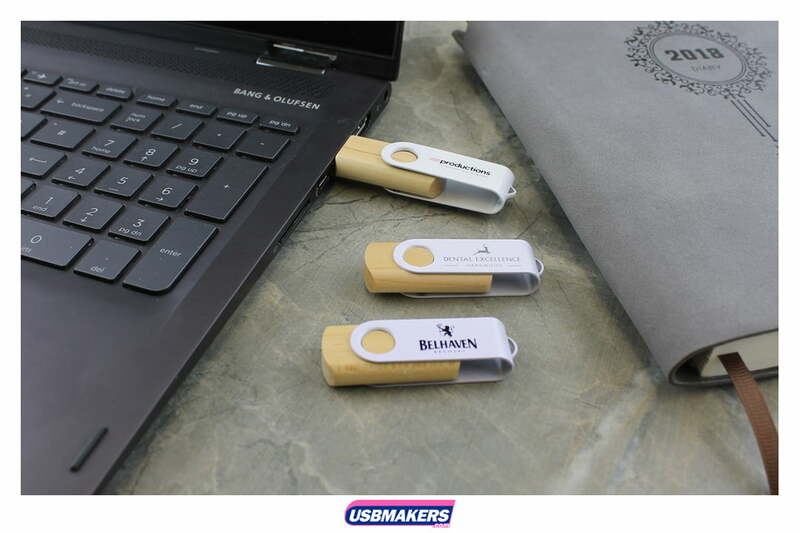 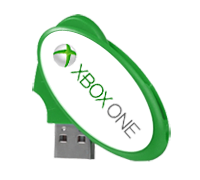 The Eco Twister Duo shell is made from maple wood to make this USB truly durable, the aluminimum clip rotates 360 degrees to keep the connector protected yet still easily accessible. 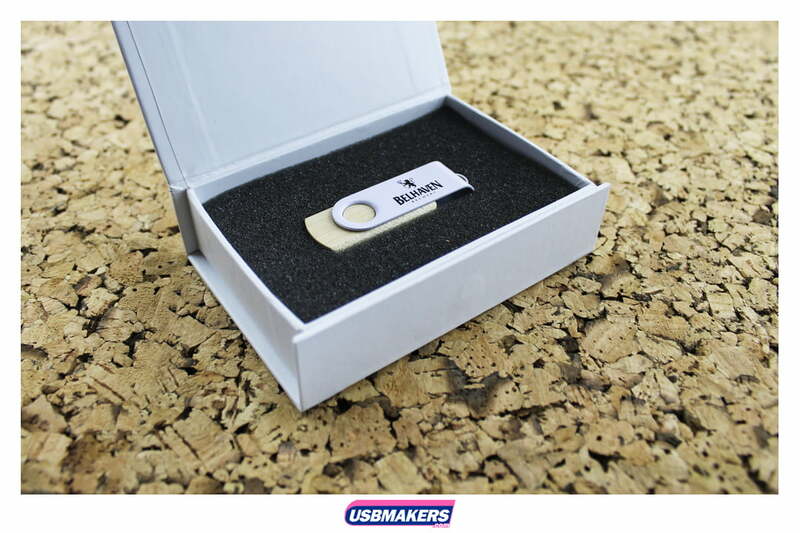 It also has a small eyelet on the end for your recipients to attach to their keyring and show off your brand! 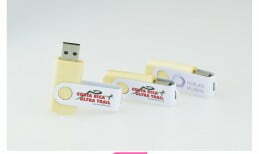 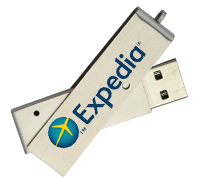 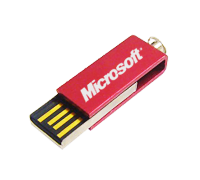 The Eco Twister Duo is available with 400Mb of free pre-loaded data, with our USB data sizes ranging from 128Mb to 64Gb. With a minimum order of just 50 pieces for standard clip colours. 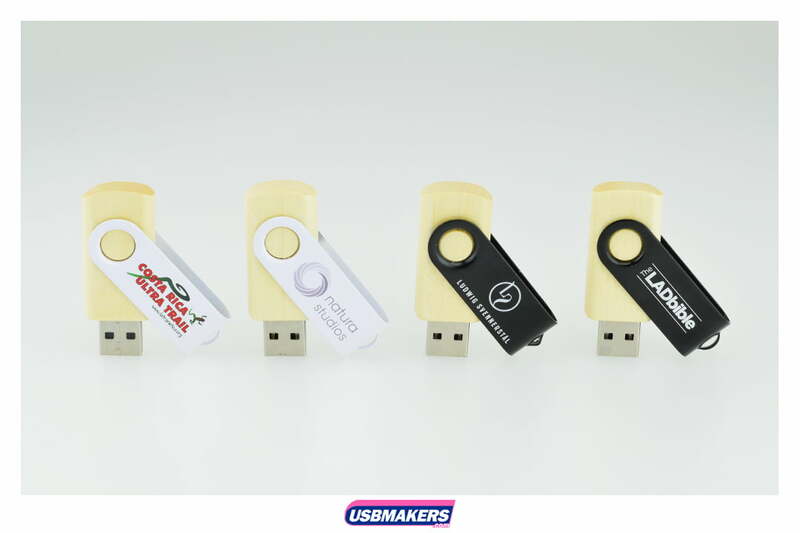 If you would like to see how your company logo will look on our fantastic Eco Twister Duo, please don’t hesitate to contact one of our Sales Executives for your personalised visual mockup and quote.